There’s a lot of interest in alternative methods for watching television these days because the cable services have become so expensive and bloated. 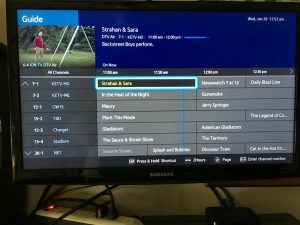 I’ve been working on ways to watch what I want without the wasted time of channel surfing. I always said I can make anything with enough foil, cardboard and duct tape. The first step to getting rid of cable is to find a way to go back to the days of watching TV off of the air. For that I knew I needed an antenna. This was convenient since I had to study antenna theory in electronics school years ago. One of the things our instructor told us in that class was that it was all only theory and the best way to make an antenna work is to keep tweaking it until you picked up a good signal. I’ve been playing off and on for a couple of years to make something I could use to receive off air but since I live only a mile or so from four of the local transmitters, I could stick out an un-shielded wire and have success with that. I wanted more. To find some advice I went online and found plans for a DIY UHF antenna. 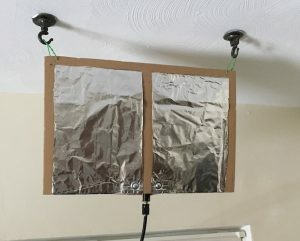 I dumbed even that down and made a simple pickup with cardboard and tin foil. The only part I had been missing with my earlier trials was a matching transformer. I just happened to have several lying around so it was pretty easy. With this setup I was able to get 30 channels with some redundant stations (several PBS stations all carrying the same programming). Most stations today have two to four sub-channels which gives the viewer quite a selection to start with. After culling I had around twenty channels showing up on the guide. The farthest one I ended up with is 17 miles away but I was receiving them from up to 43 miles away. Twenty stations and still nothin’s on. That still left me missing some of the cable channels I actually did watch on a regular basis. The answer to this is one of the Internet TV systems. After all, I couldn’t give up my Internet. 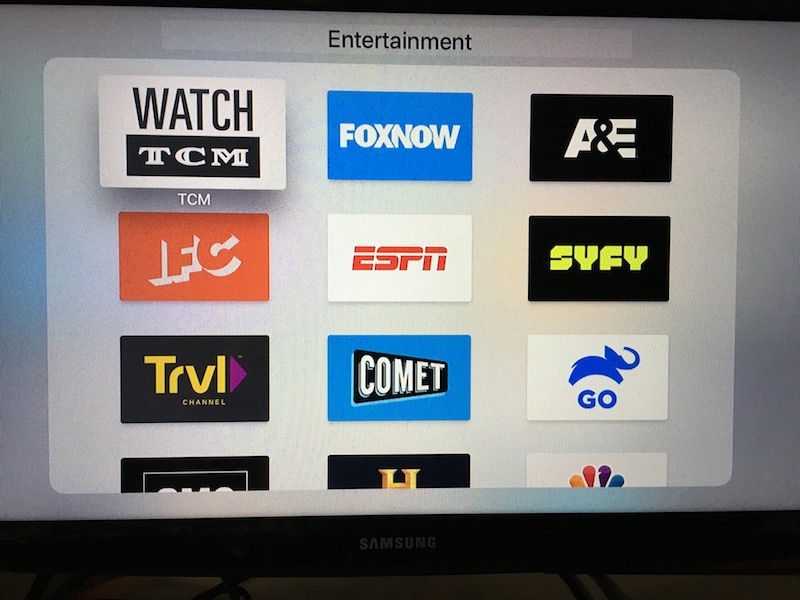 I use Apple TV but ROKU, the one from Google or any of the others are probably just as good. I’m not recommending anything in particular because I haven’t used them all. The great thing about Internet TV is you can just download the ones you use. I’ve paired mine down to about a dozen and I have pretty eclectic tastes. I don’t have any of the premium channels because I have to order them for extra cost from my ISP. Netflix is worth it to most people and if you pay for Amazon Prime any way, you might as well use their app too. In the spirit of full disclosure, I only have this setup on one television- the one I watch the most. The rest of the family is still watching cable. Addiction is a terrible thing.